Many cat lovers will know their felines like it cheap and simple when it comes to toys. It's no different for big cats like these 8-month old leopard cubs in a zoo in Arnhem, in the Netherlands. 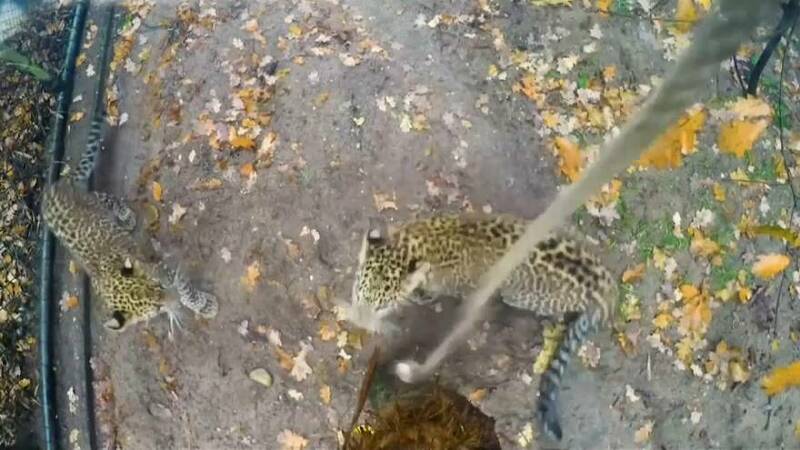 With only 1,000 Sri Lankan leopards left in the wild, this pair are part of a programme to revive the species and will be sent away in another European zoo to have offspring of their own. The species is under threat in the wild due to loss of habitat and poaching for furs and alternative medicine.